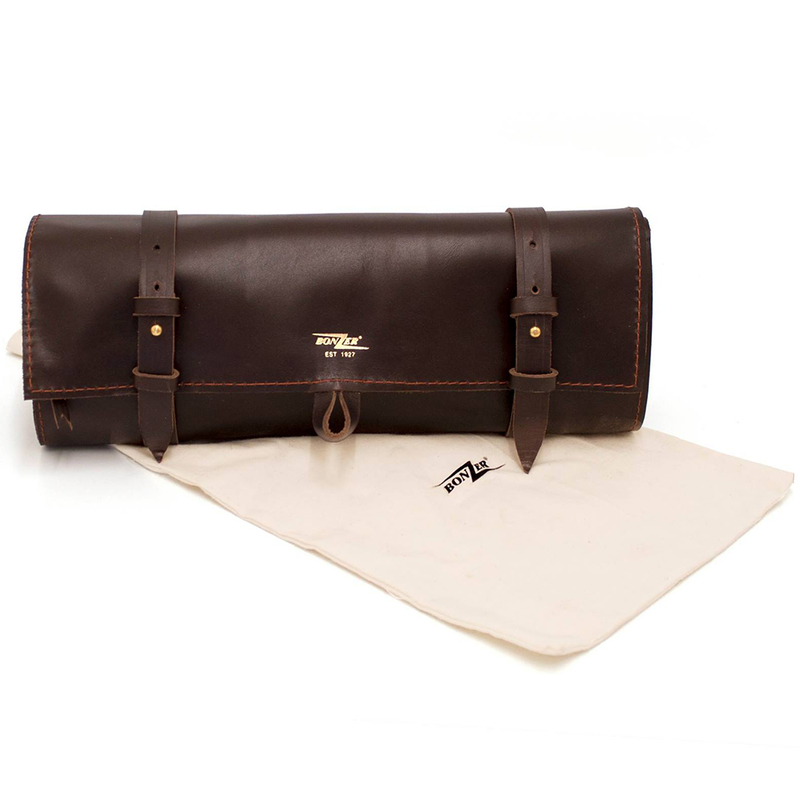 Made from the finest stainless steel, the Bonzer Heritage Barware Leather Roll Bag is the complete professional barware tool bag. 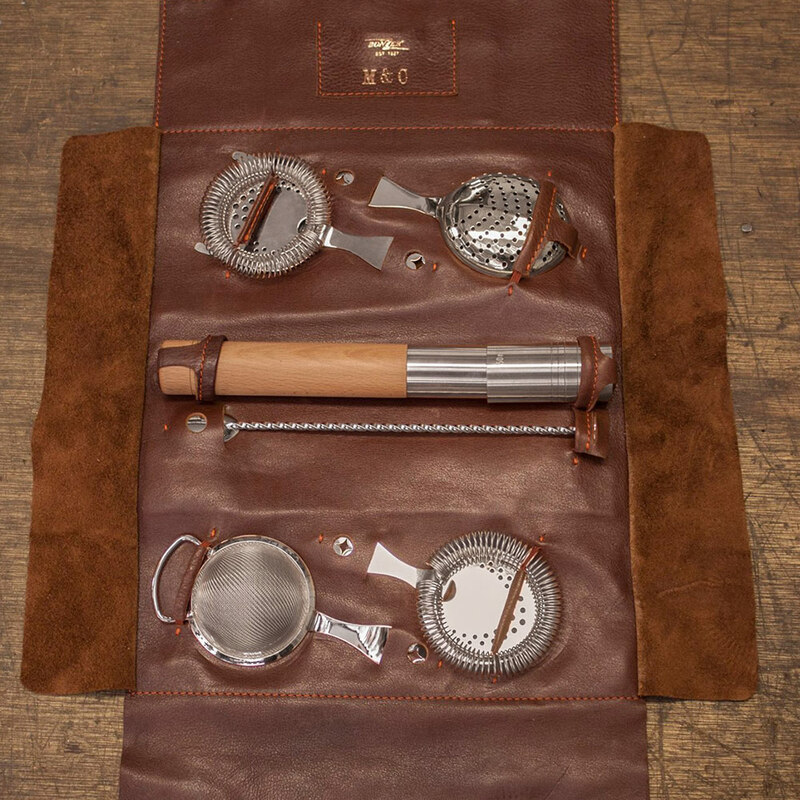 Perfect for bartenders on the go, this barware kit holds everything you could possibly need to create professional standard cocktails. 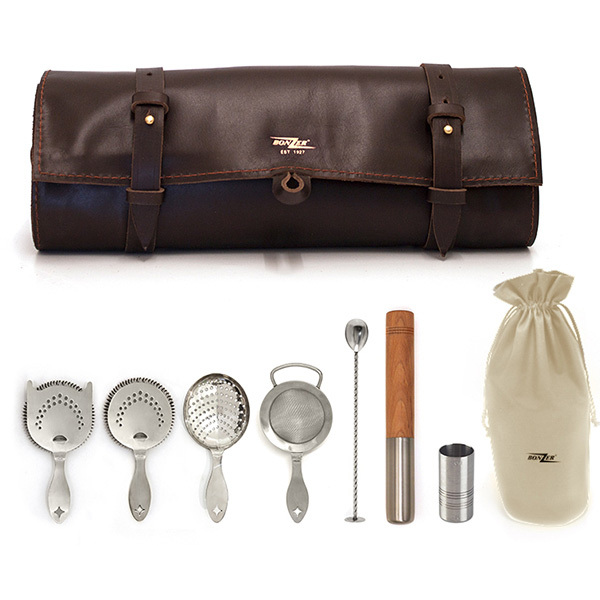 Featuring 1 x Heritage Hawthorne Strainer, 1 x Sprung Heritage Julep Strainer, 1 x Heritage Julep Strainer, 1 x Heritage Fine Strainer, 1 x Stainless Steel Half Half Wooden Muddler, 1 x 25/50ml Jigger Measure and 1 x Bar Spoon all neatly stowed away in a hand-crafted Leather Roll Bag. These premium quality tools come complete with the Bonzer seal of quality for quality confidence. 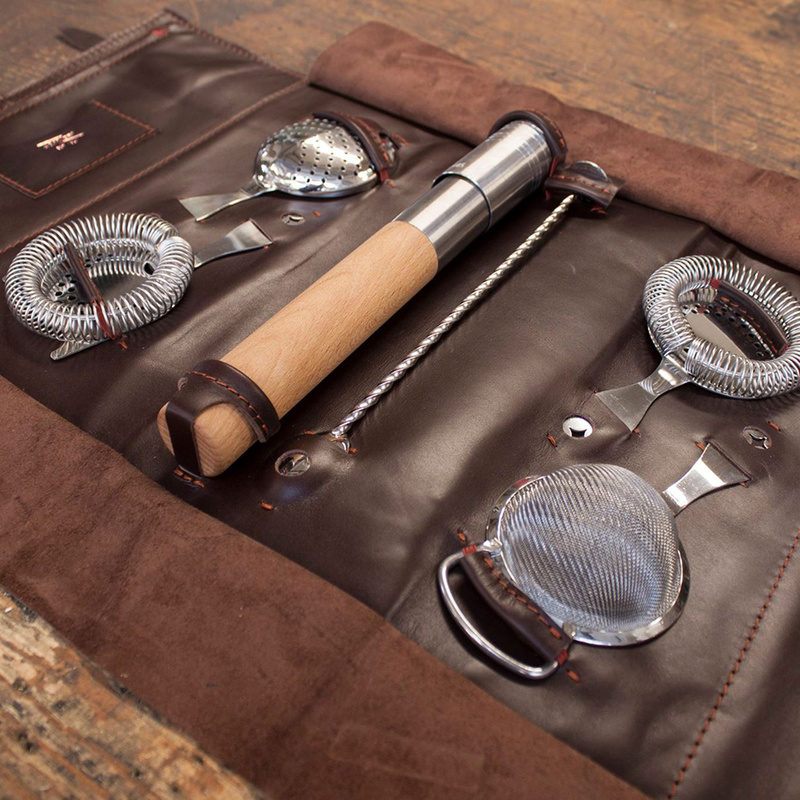 With a robust and easy to clean design, these bar tools are perfect for a busy commercial environment. 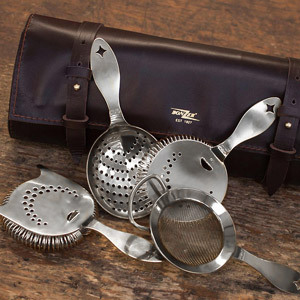 The cocktail strainer set includes 4 different designs to cover all of your straining needs. 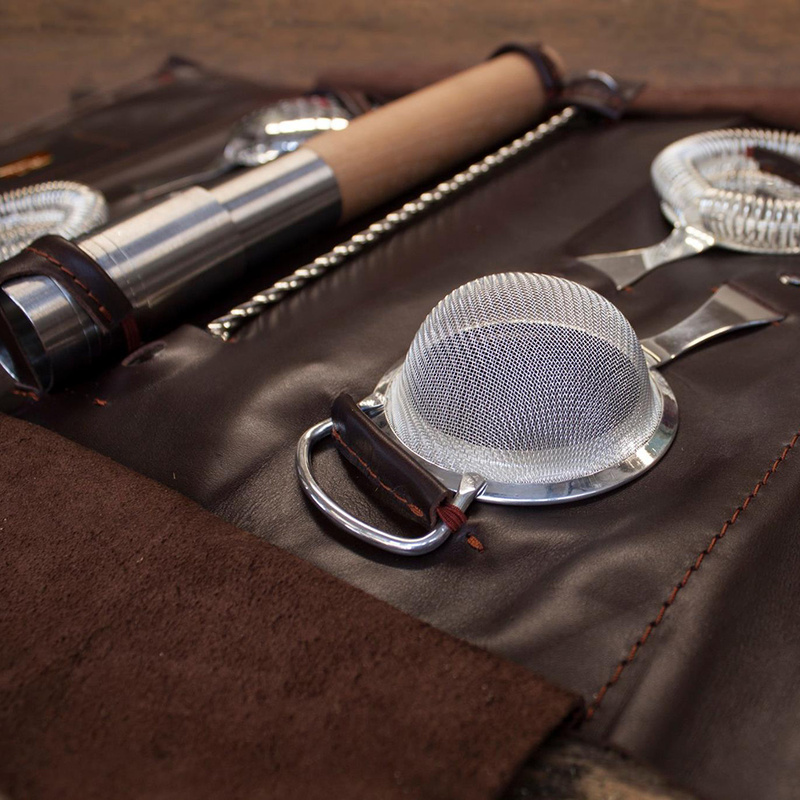 Each have their own features that are specially needed for making certain cocktails.